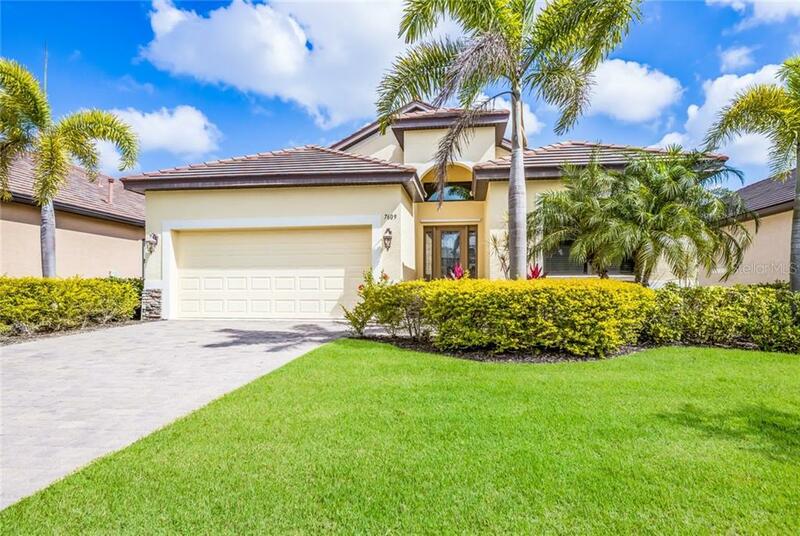 Ask a question about 7609 Rio Bella Pl, or schedule a tour. 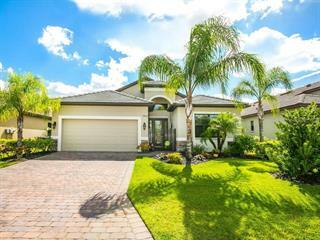 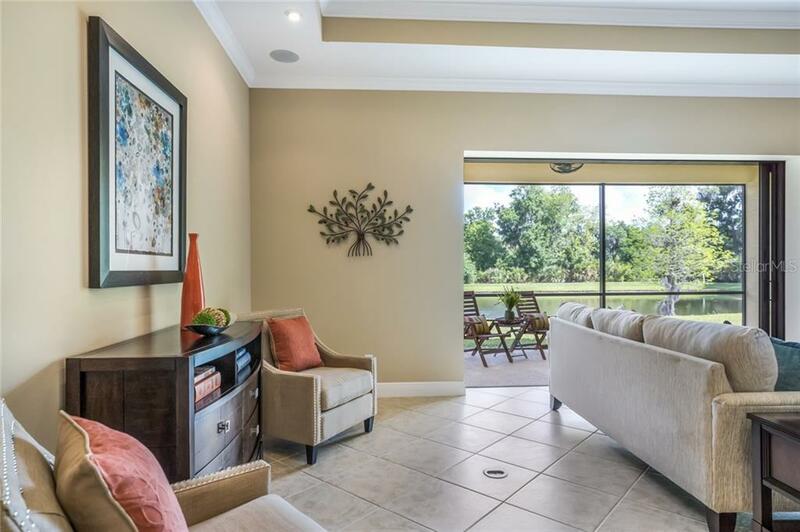 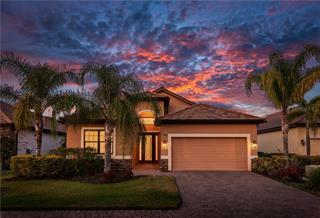 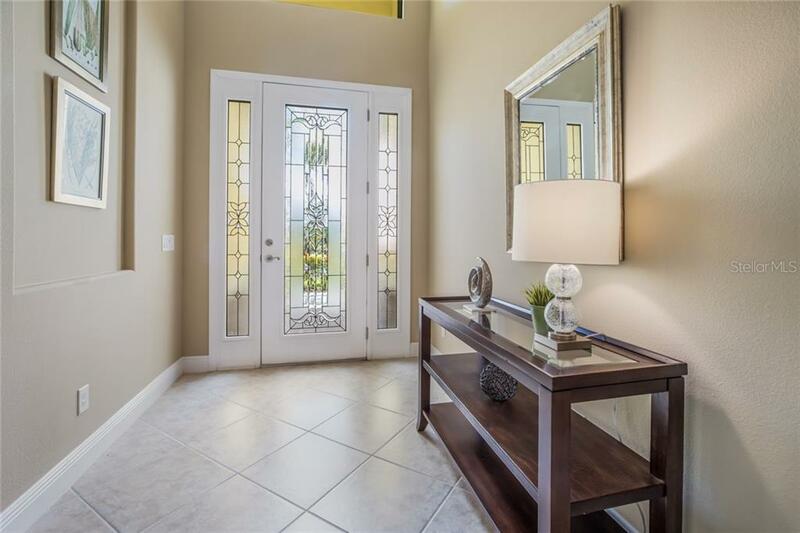 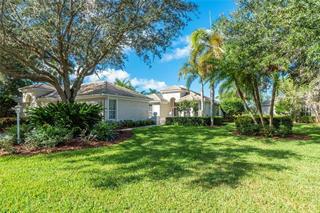 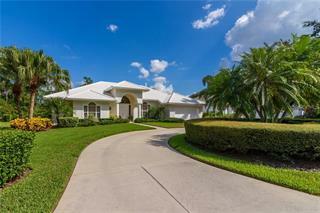 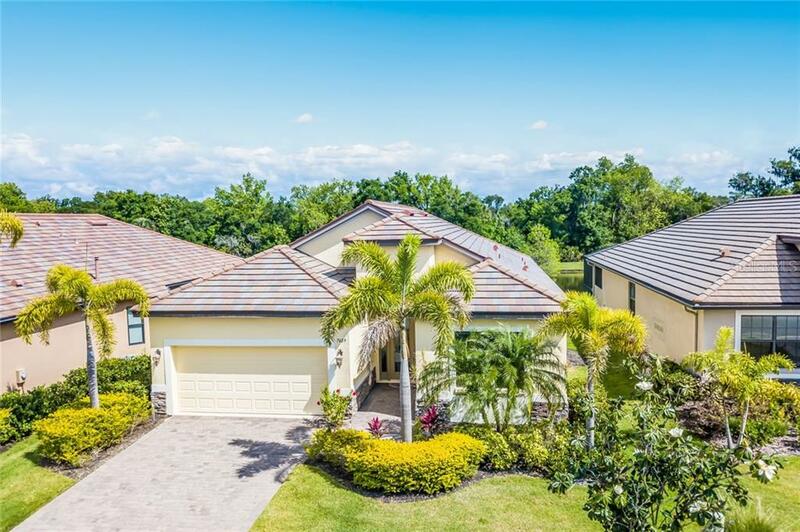 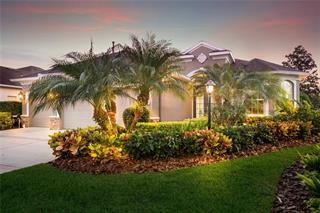 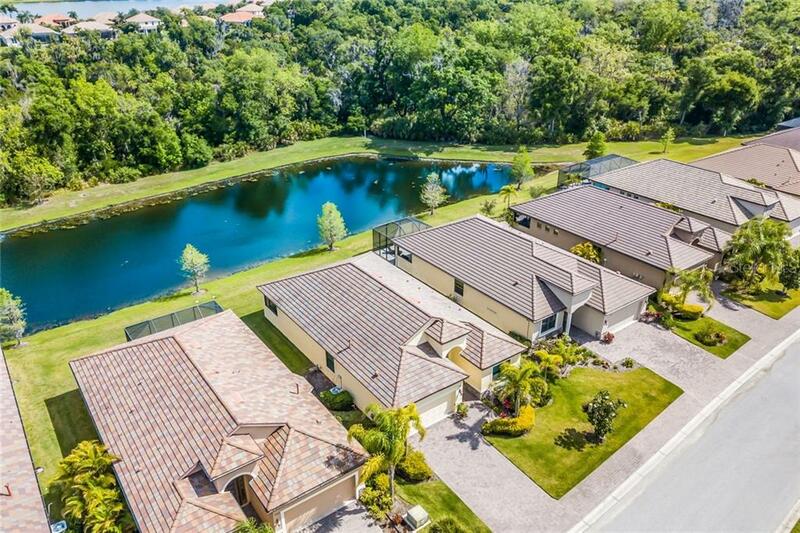 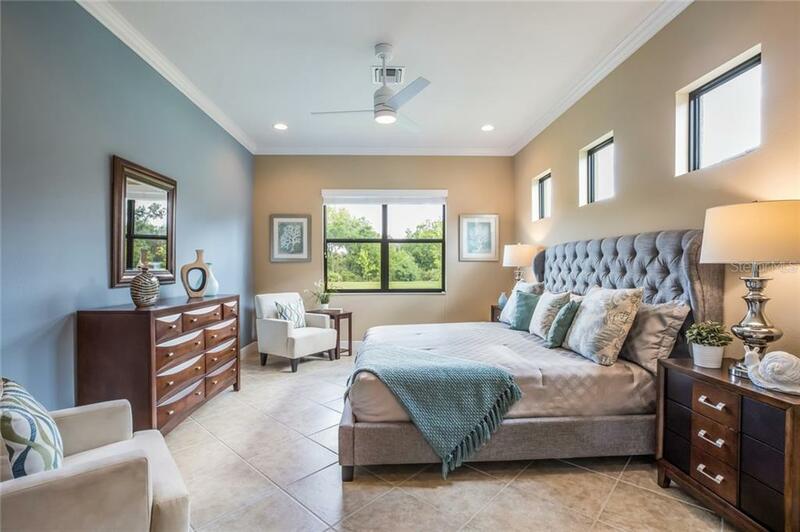 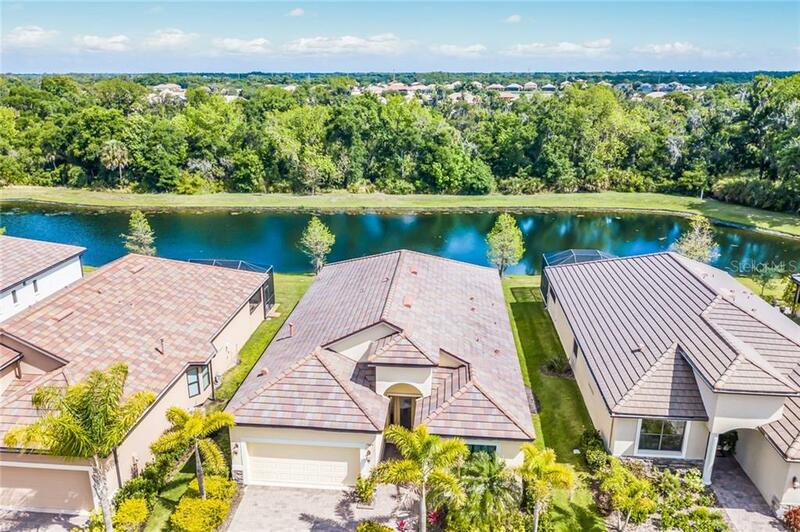 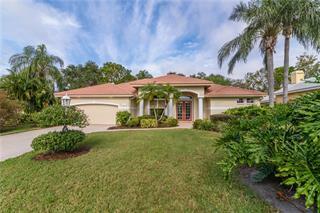 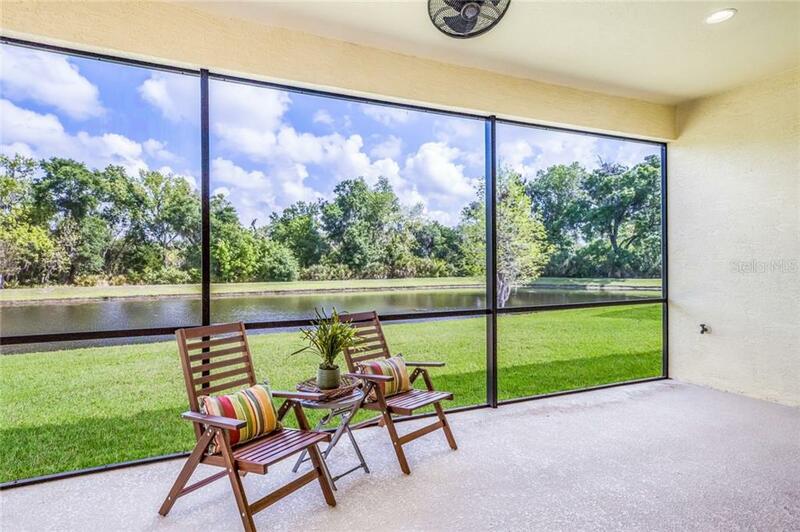 Delivering serene views with no homes in sight, this immaculate lakefront 3 bedroom residence boasts HURRICANE IMPACT Windows & Sliders in sought-after gated community of Riva Trace. 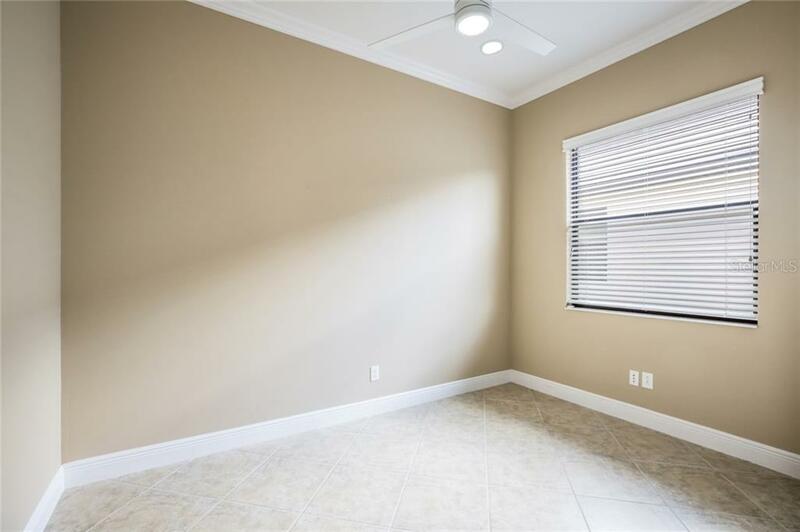 Situated in the University Pkwy corridor, the well-a... more.ppointed great room plan with split bedroom design is well executed with upscale lighting, disappearing hurricane impact glass doors, crown moldings, volume ceilings, granite counters & tiles laid on the diagonal. 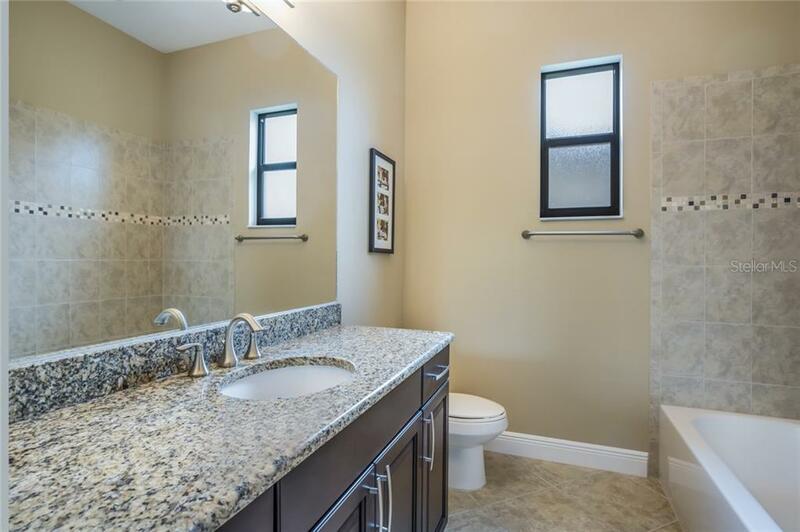 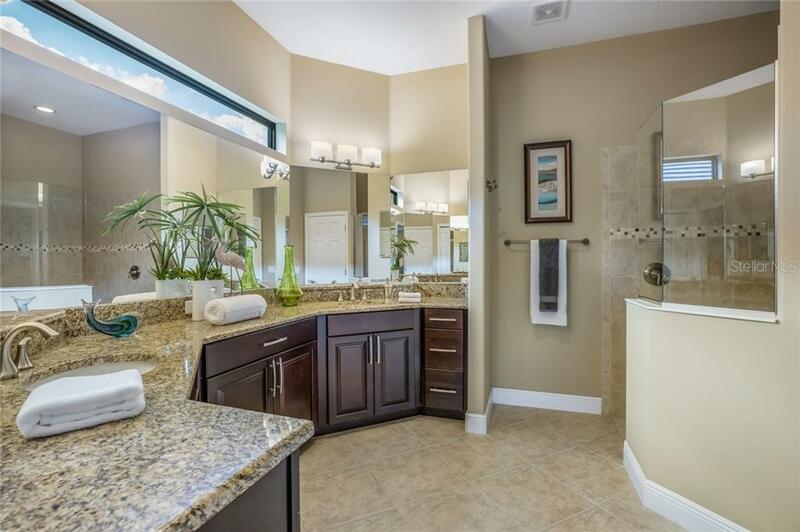 The master suite is a retreat featuring 2 walk-in closets, dual vanity sinks, granite counters & separate water closet. 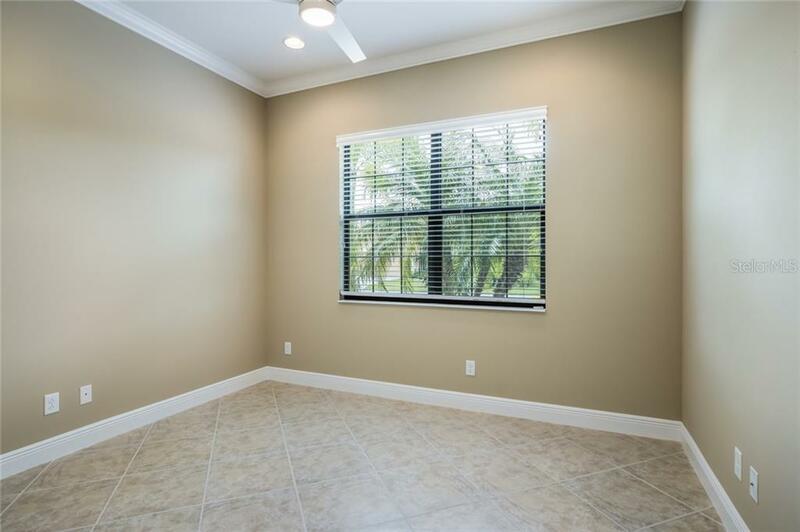 The 2 additional guest rooms are positioned in a separate wing for ultimate privacy. 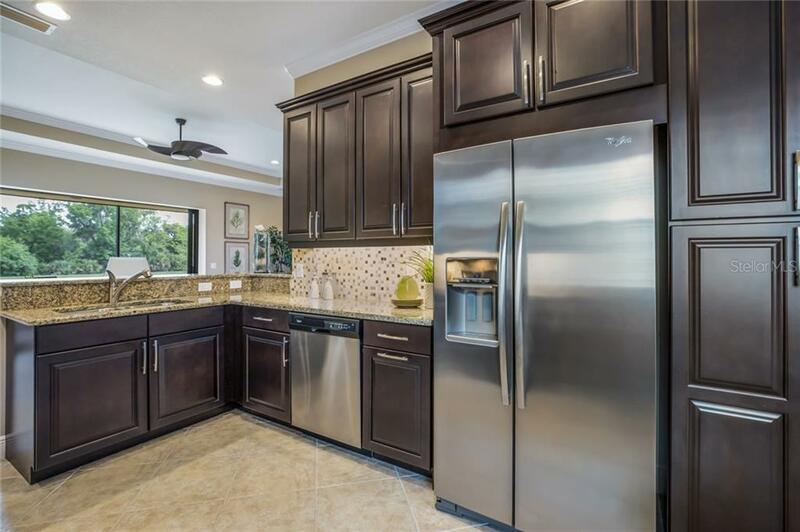 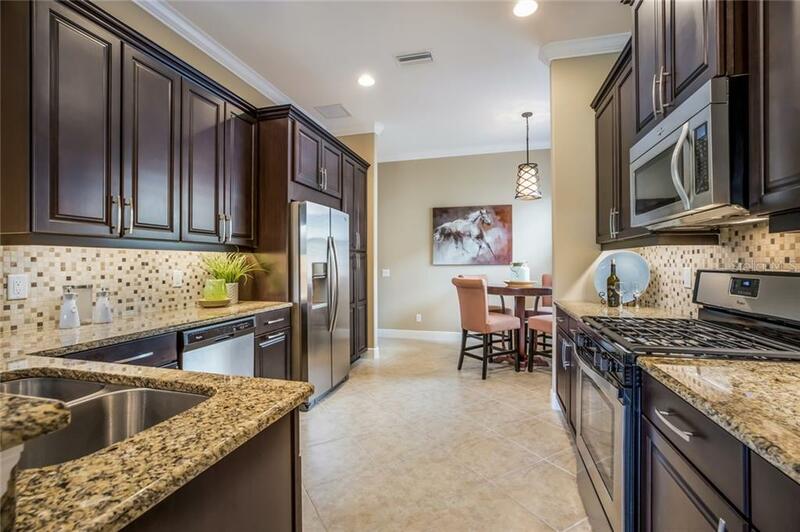 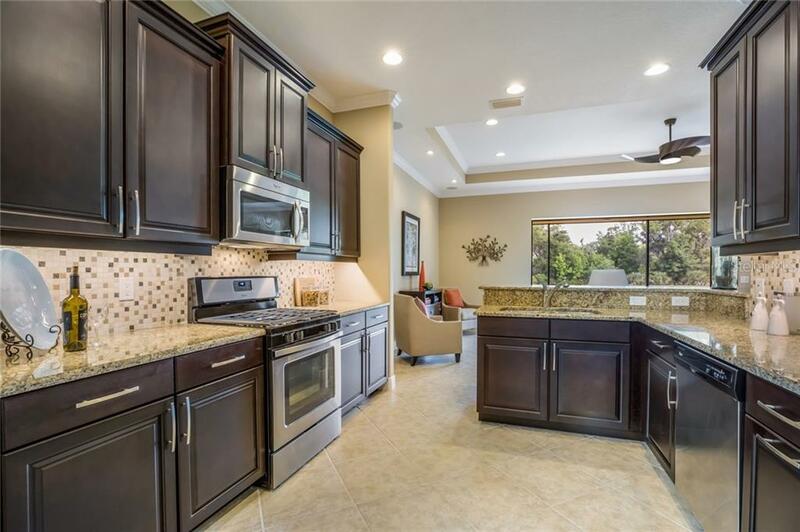 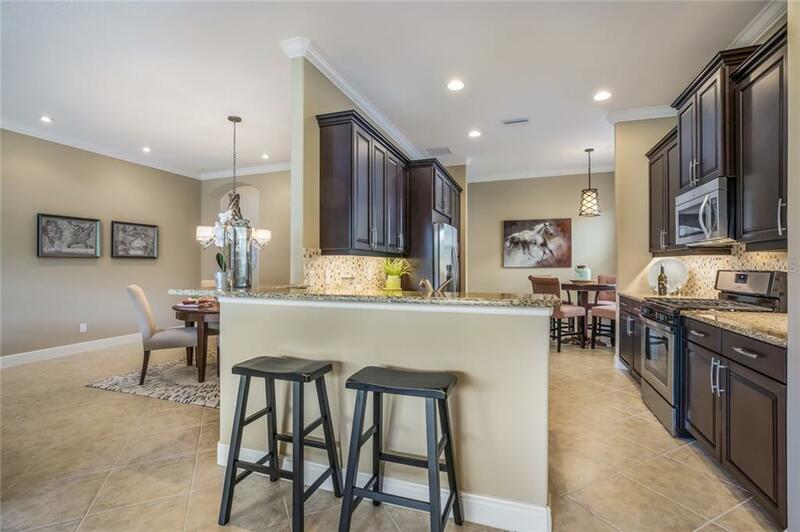 The gourmet kitchen is open to the great room with wood cabinets, granite counters, stylish backsplash, stainless steel appliances & under cabinet lighting. 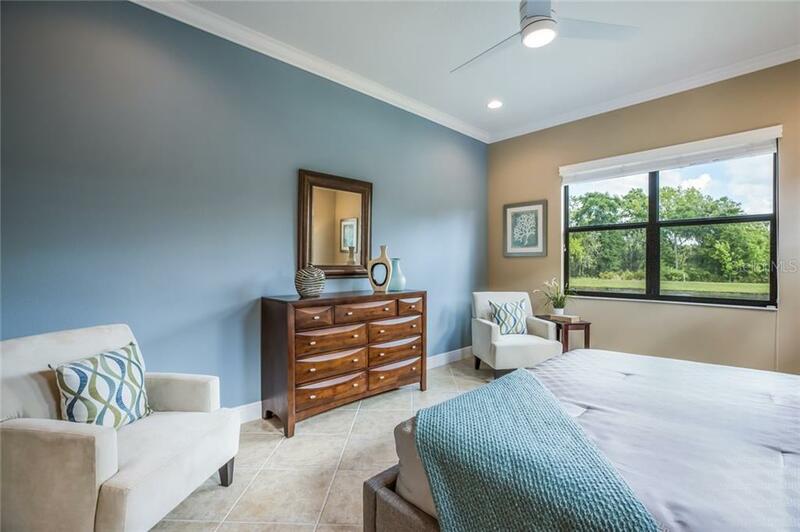 Notable features continue with brand new tankless water heater, 8ft interior doors, speakers for music, laundry room with plenty of storage, upgraded washer/dryer/utility sink & a screened picturesque lanai pre-plumbed for an outdoor gas kitchen. 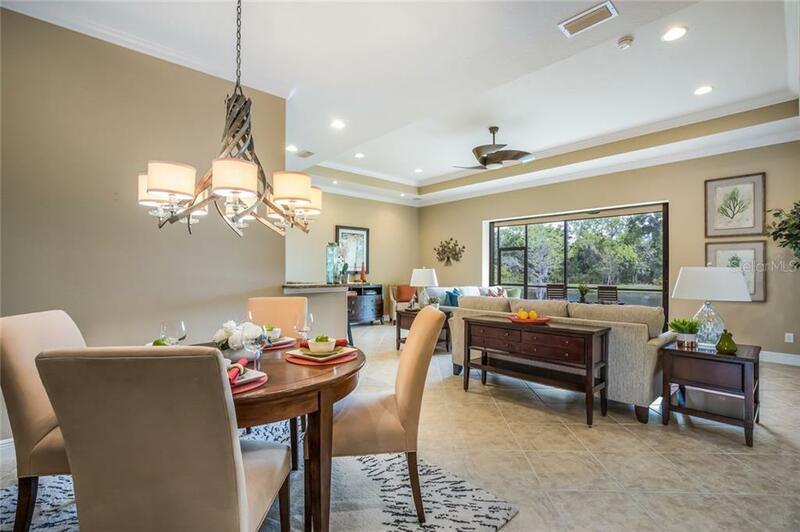 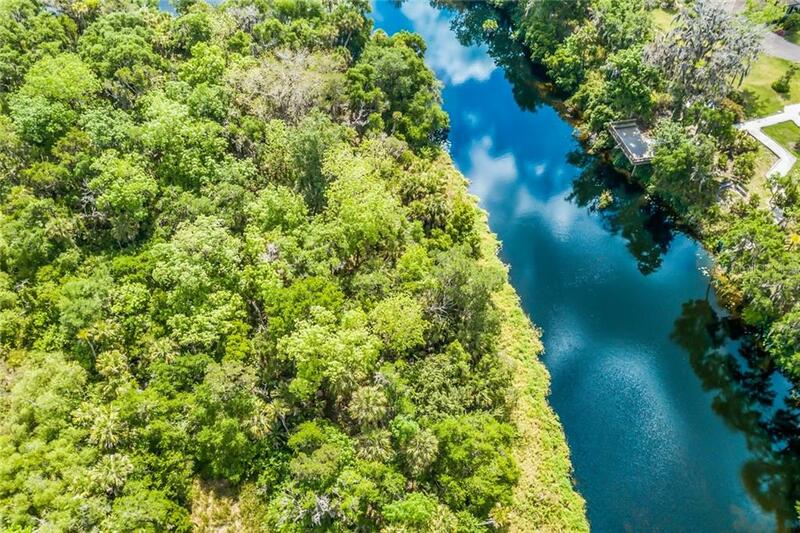 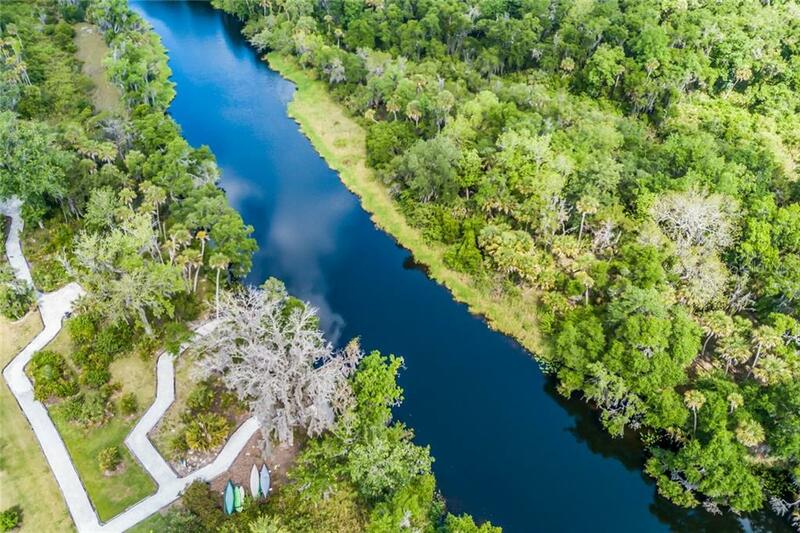 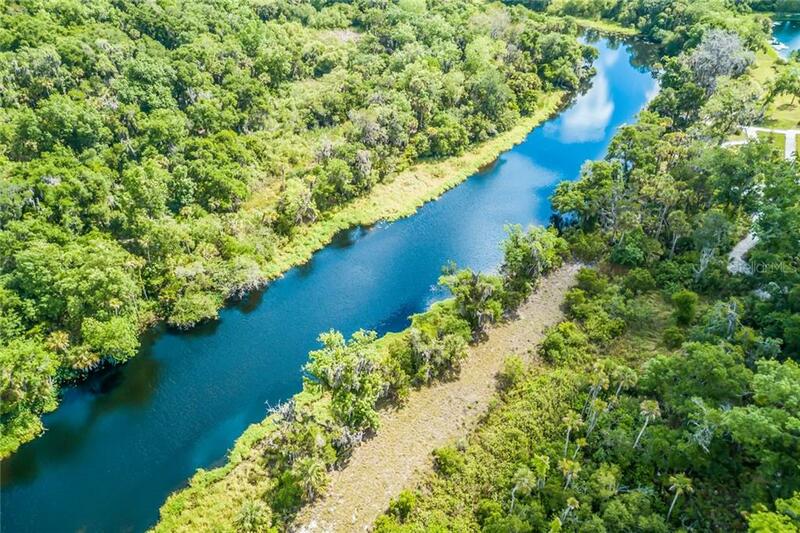 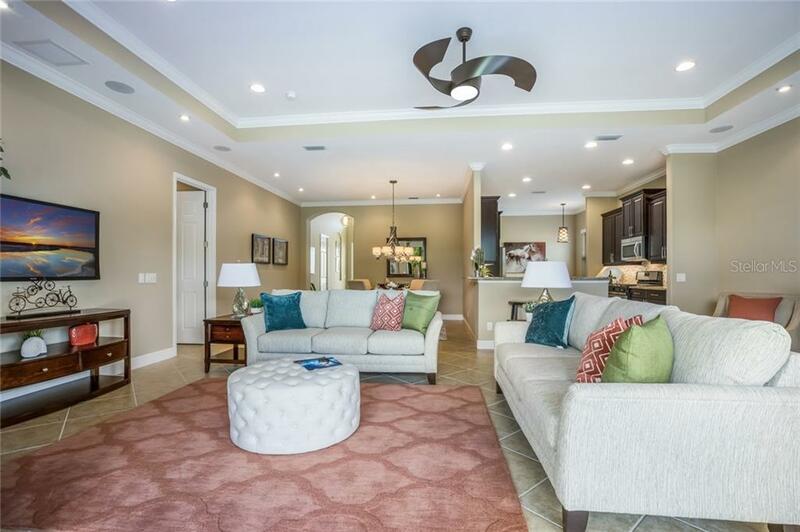 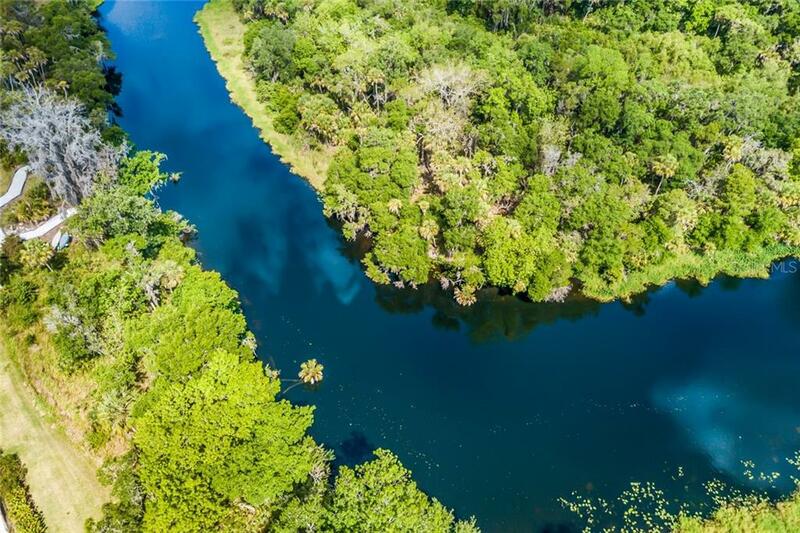 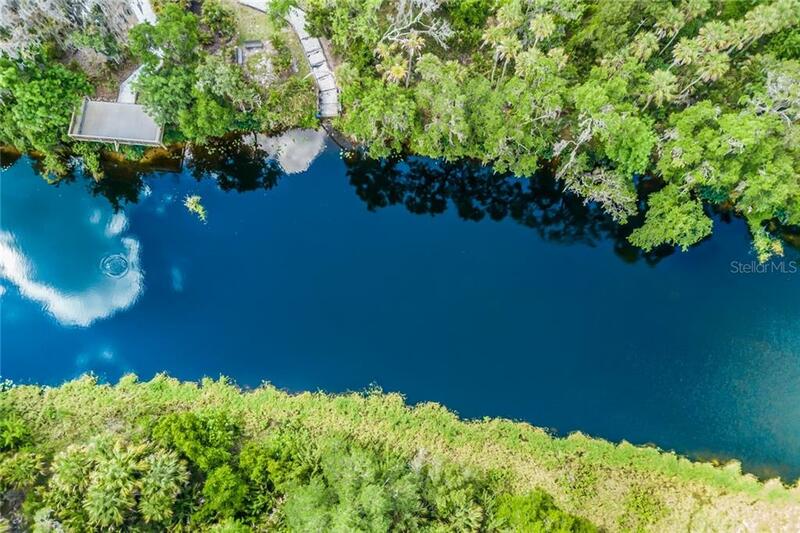 Living the care-free Florida lifestyle is effortless within this intimate maintenance-included community of 84 homes all with tile roofs, pavered walks & drives, private access to Braden River, walking trails, observation & fishing deck, canoe launch & NO CDD fees to worry about. 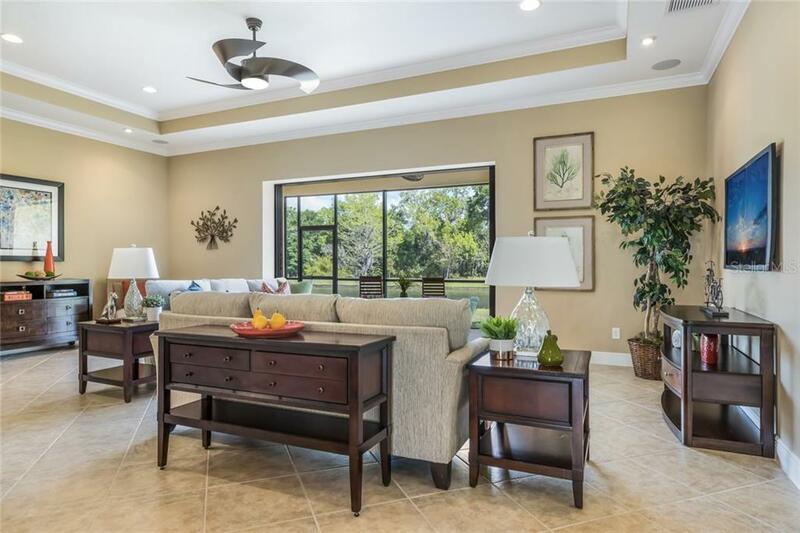 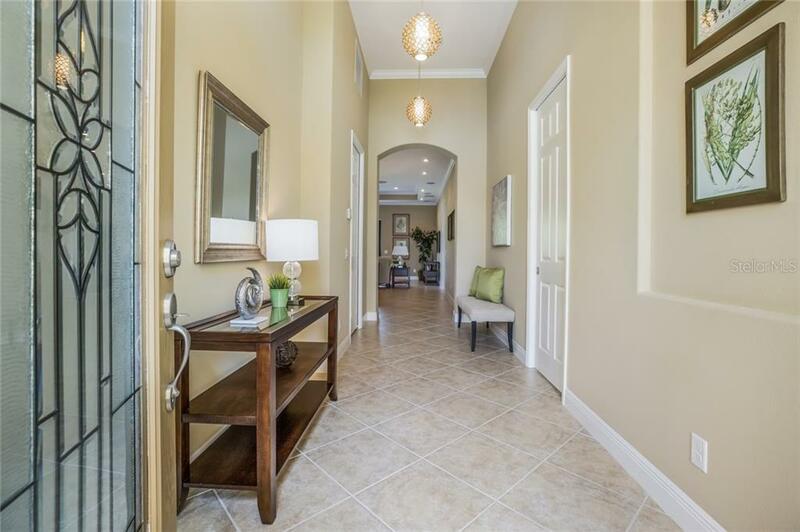 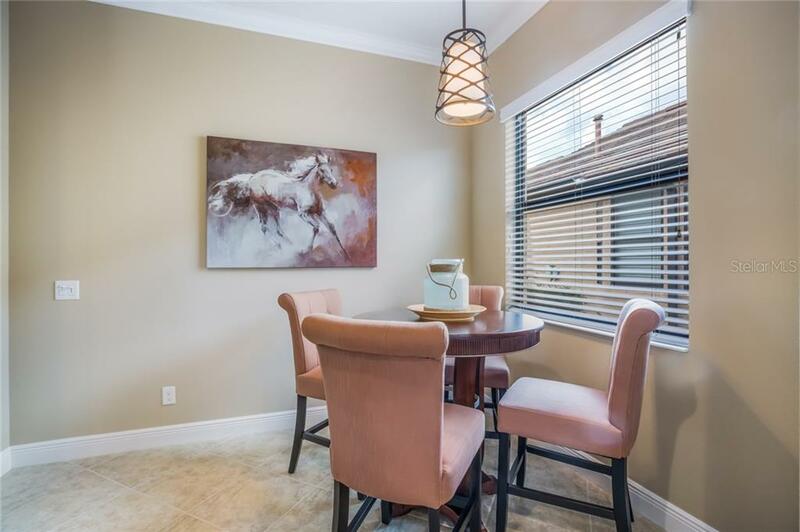 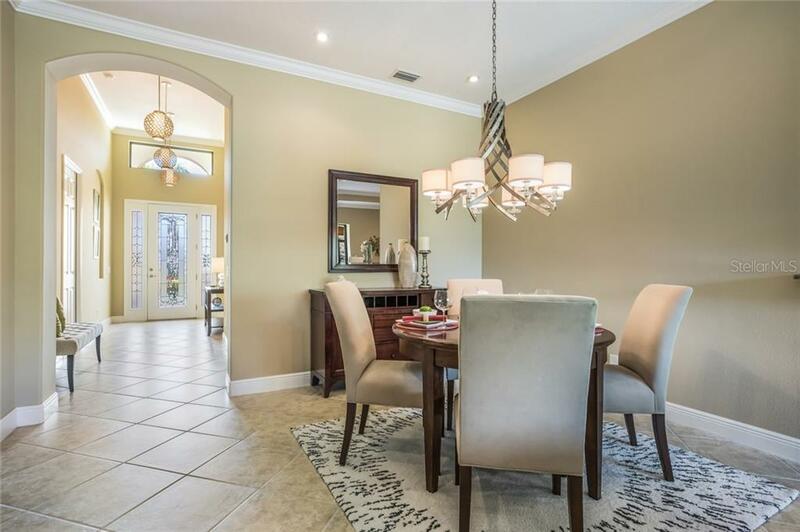 The location can't be beat surrounded by world-class shops & restaurants, blocks to UTC Mall & minutes to downtown Sarasota, Lakewood Ranch & of course, the area’s award-winning beaches.